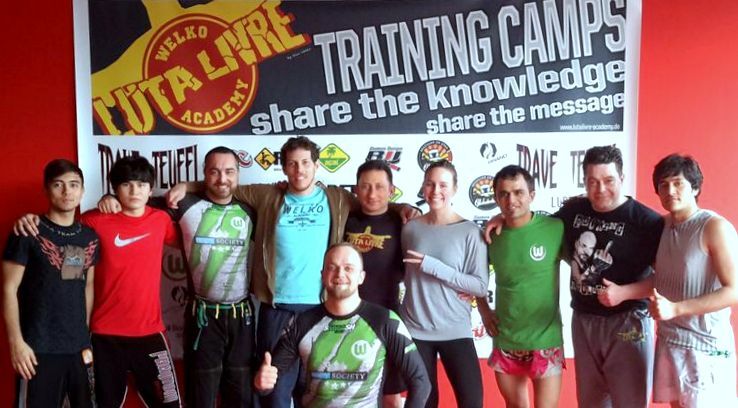 The second Welko Academy Luta Livre Camp took place on 27th and 28th February in the hanseatic city of Lübeck. The camp was conducted in close cooperation with Thai Gym Lübeck e.V. 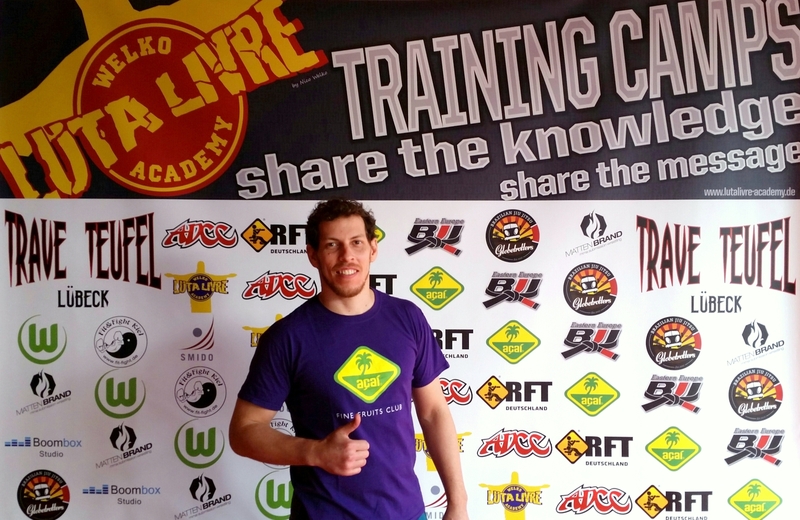 and Trave Teufel MMA Lübeck in order to follow the projects of the Welko Academy to push the development of the Luta Livre sport and to spread a positive attitude and relaxed way of life. The camp hosted over 40 participants from different cities of Germany and countries of Europe bringing 5 trainers together to share their knowledge with the group. Everyone followed the values and beliefs of the Welko Academy making a fantastic weekend for every participant and trainer. •	We are absolutely not interested in any kind of political topics in Luta Livre, BJJ or any other grappling style and in fact we completely disapprove of it. •	We strongly believe that every kind of politics in Luta Livre just hold the art back from reaching its potential. •	We are convinced that sharing knowledge is the best foundation for the growth of the art. •	We believe that the color of your belt, your graduation or your merits DO NOT make you a better individual. So on our mats as well out of the mats, you are not the "Messiah" and much less the "GOD" of anything. •	We believe and accept that we live and learn and never stop learning, therefore we all have the attitude of feeling like white belts deep in our souls no matter what our graduations or belt colors are. •	We maintain a fair approach with each other and are not interested in bringing each other down, pretending to be "the king of the jungle". •	We believe that you and I are all equal no matter where you are from or what your general preferences are. •	We enjoy life and believe that respectful and peaceful social interaction is key. RFT Luta Livre black belt and sports scientist Nico Welko opened day one of the camp with submissions and transitions from the "rear clinch". Wrestling trainer Atif Ötztürk trilled the participants with techniques from the "two on one grip". To finish off day one participants completed an hour of the appropriately named "GYMNASTICS FOR BROKEN BODIES" with fitness trainer Marcus Riehl, who provided trigger points massage techniques and full body fascia facilitation after an extensive "OPEN MAT/EACH ONE TEACH ONE" session. Following a copious breakfast on day two, Yoga teacher Justina Djoy provided a fantastic yoga session to, word-for-word, "SMOOTH OUT THE KINKS" of the participants. This was followed by more Luta Livre and wrestling sessions. Spontaneously participant Darius Emrich was invited to share his knowledge with the entire camp by teaching an interesting session with a hybrid of Judo and Wrestling into submissions techniques. Teacher Justina going around and taking corrective actions in her Yoga session. Stacey and Marwin from the Netherlands have to say about the camp "We loved all classes and liked the way Nico started the lessons and the way he teaches the techniques step by step made the whole technique so easy to do, it was like it always was a natural way to move. What we also liked was how the food and drinks was organized. And most of all… The instructors! 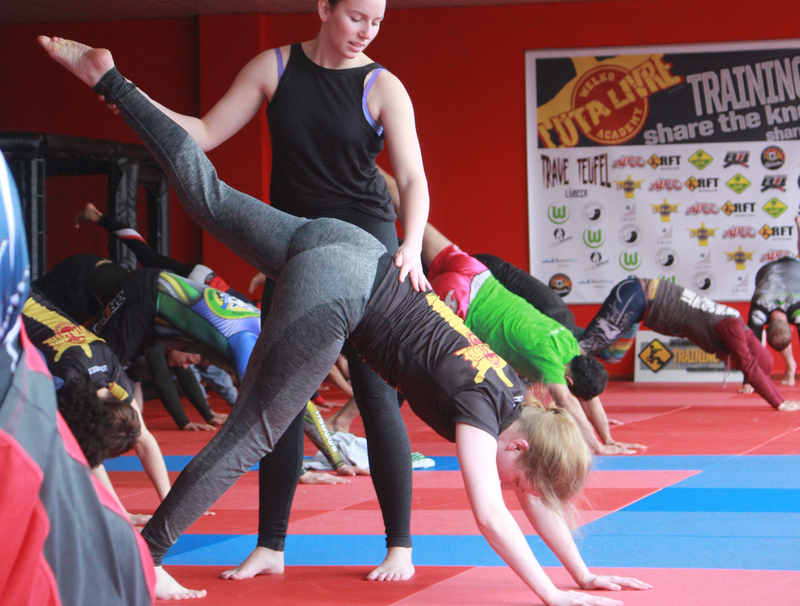 Not only Luta Livre, Wrestling and Judo was important, but also how to take care of your body with regenerative gymnastics and Yoga. We realized that was THE most important aspect that lots of fighters seem to forget. Breathing and anatomy is just as important. So thanks for showing the unknown! It was a positive experience and we would like for others to experience this too"
Chris from England tells "I really enjoyed rolling with the guys from the other clubs and I always love Nico's teaching style and techniques, the techniques themselves flowed well and showed the progression. Mat space for numbers of participants was right. Thanks for the camp, I absolutely loved it and can't wait to come back for the next one"
Trainer Nico Welko going around correcting and giving feedback to the participants. In the wake of the social inclusion through sports and cultural diversity, the Welko Academy reserved 10% of its available places for young asylum seekers to join all of the benefits that the camp offers. Sports, social connection and health are all crucial to a harmonious society and that is what the Welko Academy also strives with its programs and the camps as well. A small group taking pictures with some of the sponsored participants as a part of the Welko Academy social inclusion project. Nico Welko, leader of the Welko Academy Projects tells "Greed, egoism and intolerance are the poison of world's society. If we all practice a little more of caring for each other by e.g. sharing a little bit here, another little there but also keeping something back for ourselves, then we all probably will experience less suffering and more joy. Asylum seekers, refugees need to feel connected and accepted and what better way than through sports and martial arts with like minded people and through a socially aware and non commercial project. Sharing and caring are one of the greatest satisfaction for the soul. Keep your mind and hands open to give and receive. Share the message!" The Welko Academy wants to thank all participants for the awesome weekend, and extends its gratitude to friends, sponsors, supporters and the trainer staff for their caring and sharing. There are further international activities to come for the Welko Academy in this year like the Professional Training Camp in Budapest-Hungary, and other promissing activities and projects in other countries like England, Australia, South Africa, Ukraine, Belgium and few others.